Caption slip reads: "Photographer: Forbes. Date: 01-14. Reporter: Caswell. Assignment: School graphs. 25-26: Ellis A. Jarvis, Asst. Supt. for Junior High Schools. 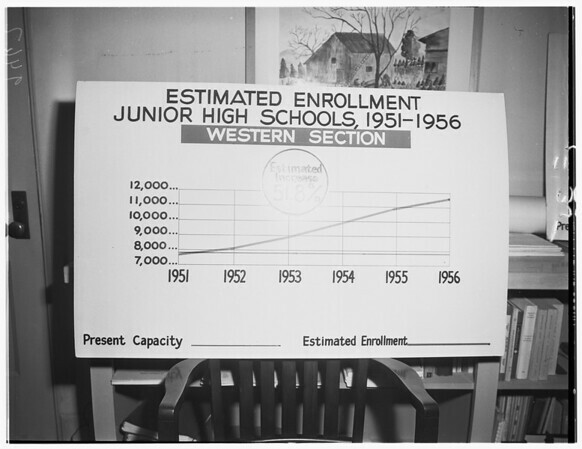 35-36-59-60-31: Charts of JHS Population. Note: Give all the SE negs to Mr. Ribblet."